The suits in Dearborn were not happy. Across town, John DeLorean and his cronies had started a phenomenon a couple years earlier that had taken over America like wildfire. This sensation, known as the GTO, had turned Pontiac from a maker of mediocre automobiles into a performance powerhouse. Now Ford wanted to get in on the action. The Blue Oval guys packed a 390 cubic inch V8 into a Fairlane, added racing stripes, and served it up as a hardtop or convertible. 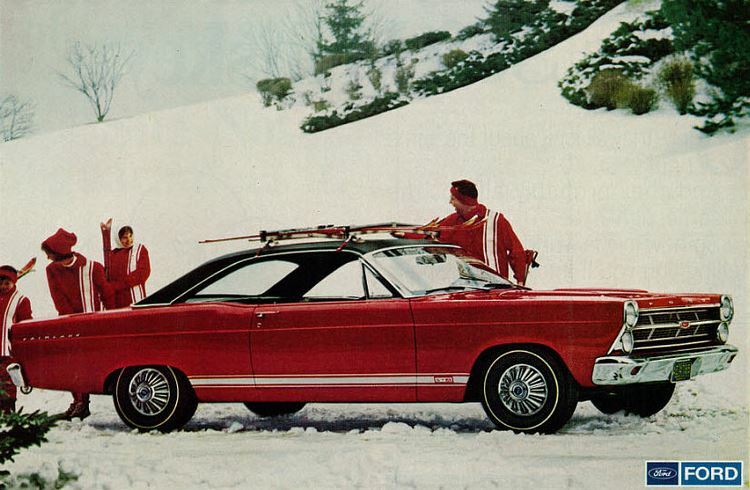 Dubbed the GT, this version of the Fairlane had what it needed to go tiger hunting. But did it pack enough ammo? Let’s find out. In this edition of the Muscle Car Milestones, we’ll explore the 1966-1967 Ford Fairlane GT. Created out of rivalry, Ford’s answer to the Goat sported many performance-oriented goodies such as bucket seats and console mounted gear shifter. 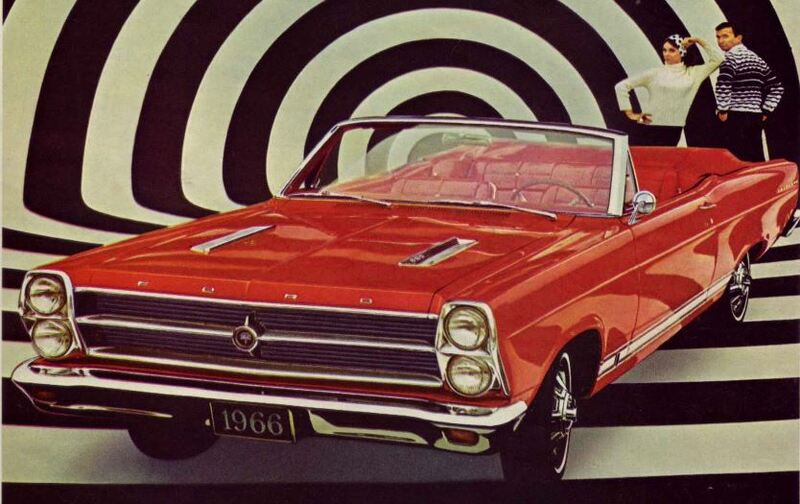 Interestingly enough, Ford even promoted the Fairlane GT as a family car. For the 1966 model year, Ford gave the Fairlane a much needed makeover. Gone was the boxy styling that had plagued the previous generation. Stacked quad headlamps, curved side glass, and a swooping roofline on the coupe are some of the features of the car’s bold, new look. Contrasting paint stripes, faux hood scoops, and GT badging are some other features the GT boasts. Customers also had 15 colors to choose for their sporty GT. Convertibles get a white, blue, or black five-ply vinyl top with a tempered glass safety window. To keep everything looking neat, a stretch boot with concealed fasteners hides the top completely in the down position. Fourteen-inch steel wheels and tires with drum brakes were also standard issue for the Fairlane GT. Inside, the Fairlane GT comes with all the features you would expect from a first-class muscle car. Bucket seats, console-mounted gear shifter, and sport steering wheel are just a few of the amenities you notice when climbing into the driver’s seat. A rare feature is the dash-mounted 6,000 rpm tachometer. It comes in handy for those stoplight drags on a Saturday night. To give the car a quieter ride, Ford installed 120 pounds of insulating and sound deadening material. It’s no surprise that where the GT really shines is under the hood. Pop the latch and behold the 390 cubic-inch Thunderbird Special V8 lurking underneath. It definitely looks ready for action. The rocker covers, oil filler cap, radiator cap, and air cleaner are bathed in chrome. This powerplant pumps out 335 horsepower and 427 lb-ft pounds of torque. In the October 1965 issue of Motor Trend, a GTA sprinted from 0-60 in 6.8 seconds and garnered a 15.2 second quarter mile running 92 mph. Those numbers are right up there with the Goat running similar hardware. Speed & Supercar tested a tri-power 389 GTO with a two-speed automatic. They walked away with a 0-60 time of 7.1 seconds and a quarter mile time of 15.6 seconds with 91 mph registering on the speedo. In case you haven’t figured it out yet, the GT is equipped with a three or four-speed manual and the GTA features a three-speed automatic. Also, if you think that shiftable automatic transmissions are fairly new, think again. Ford’s Sport Shift was created for those wanting the option of shifting gears like a manual but desire the convenience of an automatic. Here’s how it works. With the gear selector in the “D” position, the transmission shifts like a normal automatic. To shift manually, moving the selector to “2” or “1” will shift into second or first gear respectively and stay there. When cruising at any speed, shifting from “D” to “2” will instantly engage and hold second gear. Shifting from “1” to “D” will immediately change to second but won’t engage first until the car’s speed falls to around 20 mph. This is controlled by a governor to prevent locking the rear wheels or over-revving the engine. 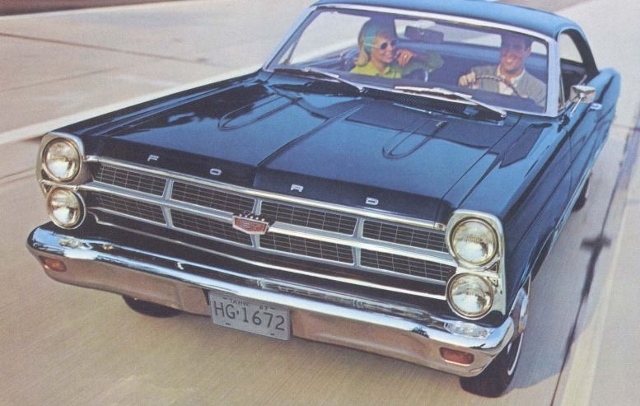 For 1967, Ford made a few minor changes to the Fairlane GT’s exterior. Most notable are the 8-segment grille, hood power domes, and reverse lights integrated into the tail lamps. 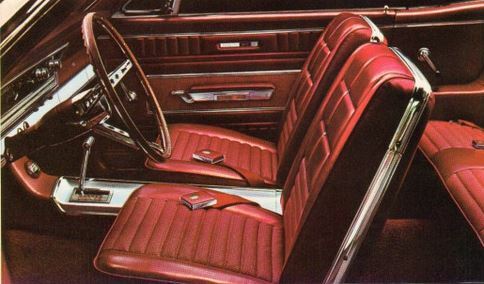 The interior also featured a new padded steering wheel hub, windshield pillars, and red and white courtesy lamps in the doors. Under the hood, the 289 Challenger V8 was now the standard engine and the 390 Thunderbird V8 was optional equipment. Power front disc brakes, 3-speed Synchro-Smooth Drive manual transmission, and wide-oval sport tires, round out some of the standard features for the GT. Of course, prices for a 1966 Fairlane GT vary by condition. According to Hagerty Insurance, expect to pay around $11,000 for a Condition 4 car all the way up to $33,000 for a Condition 1. As always, there are bargains out there for those willing to shop around for a good deal. Ford built just a little over 58,000 GTs during its two-year production run. Seeing one today is rare but definitely something to see when perusing a local car show or cruise-in. Who knows, maybe you’ll see one the next time you attend.